When it was time to celebrate Pavarotti’s 50 years on Decca Classics and 50 years since his international debut, a brand new compilation, Pavarotti: The 50 Greatest Tracks, was released in October 2013 on Decca CD (2 CD set), download and streaming. The marketing of this release was massive, including a website for sharing photos, and another website to record and publish your own version of Pavarotti arias such as Nessun dorma! Prior to the release, as part of the marketing strategy, the press reported that this compilation would contain a newly discovered Pavarotti recording, but as I wrote in August 2013 that was a bit far from the truth. Be that as it may, with this compilation Pavarotti once again topped the charts, six years after he died! Besides the so-called newly discovered Pavarotti recording (which wasn’t! ), the compilation didn’t contain any real surprises as all were previously released. Read more about each tracks here. 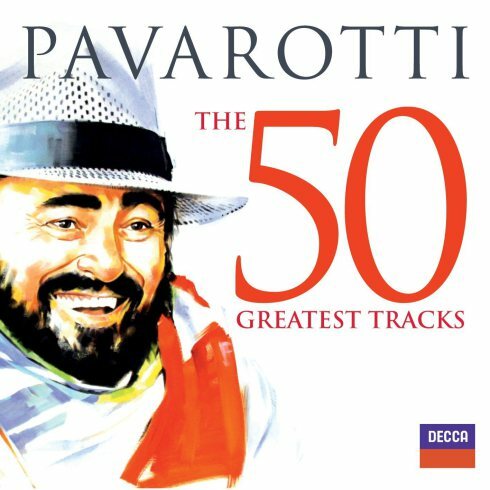 Pavarotti: The 50+ Greatest Tracks: Deluxe edition contains three bonus tracks (available as download and streaming). 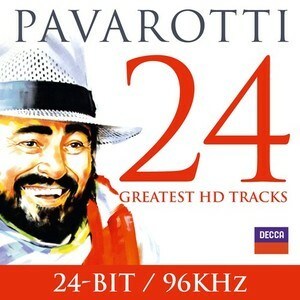 Pavarotti: 24 Greatest HD Tracks: 24-BIT/96 KHz contains 24 of the 50 tracks remastered in high-definition sound (available as download). 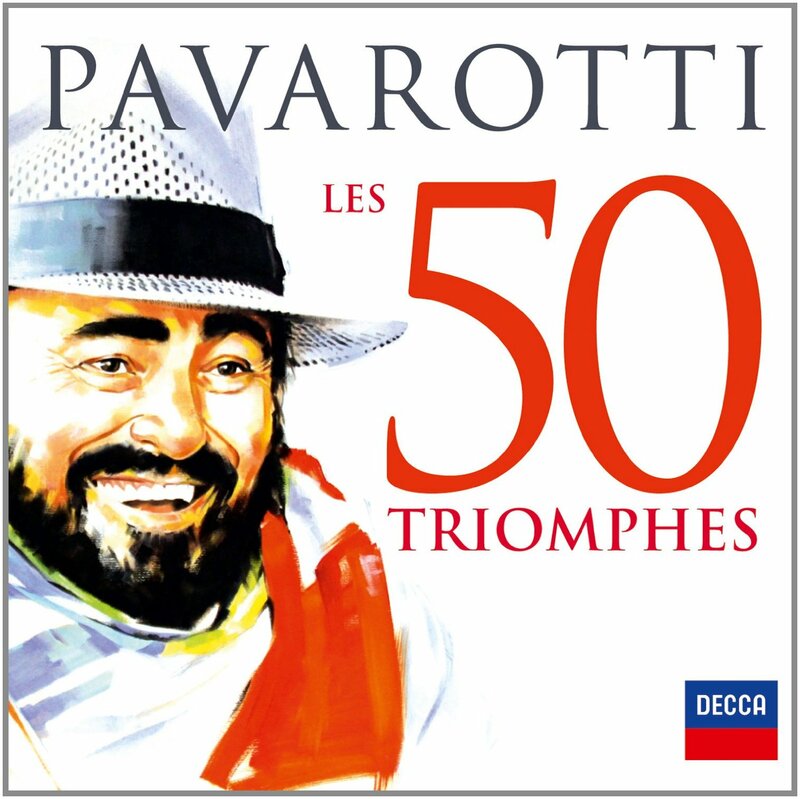 The 2 CD set was also released as Pavarotti: Les 50 Triomphes by Decca in France. Other national releases may exist as well. The CD artwork and the ads on TV and online were quite creative. There was a one minute teaser and a 20 seconds TV-spot, both narrated in English. However, on YouTube I’ve found many other versions of the TV-spot from various countries. This was absolutely a marketing campaign for the greatest singer that ever lived! This post was originally published 24-03-2014. Last revision 24-03-2014. Posted in Luciano Pavarotti, Pavarotti, Pavarotti in commercials, Pavarotti in popular culture, Pavarotti's performances, Pavarotti's recordings on March 24, 2014 by Odd Pavarotti.